London Health Emergency (LHE) was established in the autumn of 1983 as a collective umbrella organisation for local campaigns defending hospitals in the capital against closure (under the impact of the 'Lawson cuts' in the 1983 budget). It was initially funded by the Greater London Council (GLC), as were numerous local campaigns, most of which ran autonomously under the general name of local Health Emergency groups. LHE’s director John Lister was appointed as Publicity Officer in the spring of 1984, and has remained with the organisation ever since. By the time the GLC was abolished in 1986, LHE had established a central role as a resource for campaigners, health union activists and for journalists from the regional and national media. As a result, LHE managed to secure continued funding from a consortium of London boroughs with the support of the Association of London Authorities (now the Association of London Government). However this core funding has never been sufficient on its own to sustain LHE's activities and its full-time staff. Since 1987, therefore, LHE has undertaken a steadily increasing volume of research work and commissioned publicity work for trade union branches, regional and national bodies, London boroughs and councils in England and Wales. In 1988 our work with health unions on nurses' pay led to a massive 1,000-strong rally of health workers in the Camden Centre. Our research work beyond London increased further after 1990, when we published a nationwide analysis of the first wave of hospital Trust applications, and were later commissioned to draft responses to second and third wave opt-out bids around the country. We were central to the Hands Off Our NHS campaign which from the time of the 1989 White Paper spearheaded resistance to the government's marketising NHS reforms; LHE speakers toured meetings all over the country and our publicity material was distributed in towns and cities throughout England. When the Tomlinson Inquiry was launched in the autumn of 1991, LHE was the first to warn that its task would be to draw up a hit list of hospital closures in the capital - and that if these closures were allowed to happen, they would also hit other cities in England, Wales, Scotland and Northern Ireland. We were also the first to challenge the credibility of the King's Fund Commission's proposals for London, which asserted without proof that improved primary care (GP) services could reduce demand for hospital beds. This proved to be the key argument in the subsequent Tomlinson Report. Yet since then thousands more hospital beds have closed while demand for emergency admissions continues to escalate. LHE's status as the key source for London-wide information was reinforced when we were able to leak the contents of the 1992 Tomlinson Report the day before its publication by the government. Our campaign Londoners Need London's Hospitals won massive support not only from COHSE (now part of UNISON) and other health unions but also included the Evening Standard, and thousands of individuals who responded by collecting signatures, going to meetings, and distributing leaflets. LHE has been actively involved with all the principal campaigns against hospital closures over the years, including the defence of Bart's, Guy's, Edgware General, Oldchurch, Charing Cross, Kidderminster, and Queen Mary's Roehampton. 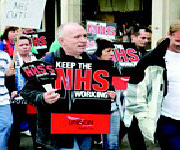 But we have also forged strong links with union branches and campaigns around the UK, with affiliates and a history of work in Scotland, Wales, Yorkshire, the midlands, East Anglia and throughout the South East: the campaign’s own newspaper Health Emergency has always attempted to reflect national rather than simply London issues. 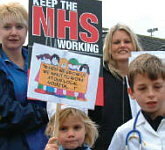 In addition to challenging hospital closures and rationalization, LHE has maintained a consistent and principled stance of opposition to all forms of privatization of support and clinical services, opposition to the Private Finance Initiative as a mans of privatising the NHS building stock, and opposition to all forms of market-style reforms - which have served to fragment the NHS and demoralise its staff. LHE has worked closely on may of these issues with local, regional and national health unions, conducting extensive research for UNISON including major national studies on PFI and Hospital Cleaning. 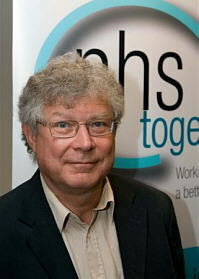 Our director John Lister has been with LHE throughout, and has also found time to complete a doctorate in health policy. His doctoral thesis has now been published as a 350-page book Health Policy Reform: Driving the Wrong Way?. This critical guide to the global 'health reform' industry offers a readable and accessible understanding of health policies around the world, with a unique analysis covering not only the wealthiest countries of Europe, north America and Australasia, but also the poorer developing and so-called "middle income" countries of Africa, Asia and Latin America. Driving the Wrong Way? is published by Libri Publishing www.libripublishing.co.uk. 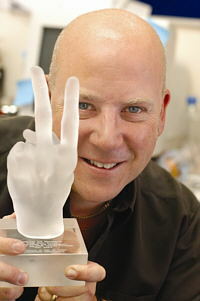 For the first 17 years LHE’s other prominent worker was Geoff Martin, currently chair of LHE. Many other loyal supporters have served on LHE’s Steering Committee, and many more activists at branch and local level have given us priceless support. Well over 100 union branches continue to affiliate each year with many sending donations to help LHE maintain its campaigning effort. We very much appreciate this support. We are grateful to all those supporters who have stuck by us: and we extend a warm welcome to any other individuals or organisations which affiliate or subscribe now to LHE. We also welcome any links with similar campaigns or health workers' organisations internationally. LHE speakers have addressed meetings in France and in San Francisco, and we have had links with health unions in New Zealand and Norway. LHE remains committed to an independent stance - seeking if possible to work with Labour ministers in planning and developing services to bridge the gaps in care opened up over the last 20 years, but ready to speak out as and when necessary in defence of front-line services. We think this is the only principled way forward.